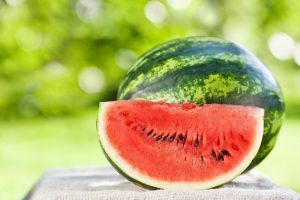 Melon 1 — a grower, packer and shipper of watermelons — has been shipping Florida watermelons all along the east coast to its customers for over 25 years. Rachel Syngo, director of new business development for Melon1, recently attended the New York Produce Show in New York City. “We came to the show because … this is an area we absolutely have to be at, we love to attend, and we love to continue to cultivate those relationships up here so that we can continue to sell great Florida watermelons to the northeast,” she said. Syngo says it is great to come to the New York Produce Show and see a lot of folks. In addition, Melon 1 attends the Southeast Produce Council,which she says is a great marriage of grower and retailer attendees. “That’s a really big one for us. It takes place in March. This year it’s going to be in Orlando, and we are going to be there,” Syngo concludes.